I walked into the dimly lit schoolroom. The floor was covered in red dust. It was the dry season in Kenya, so the dust was everywhere. The walls were stained with it. The room was filled with about 30 eighth graders. It was a Muslim holiday, so the schools were closed, but these children had walked to school before dawn. 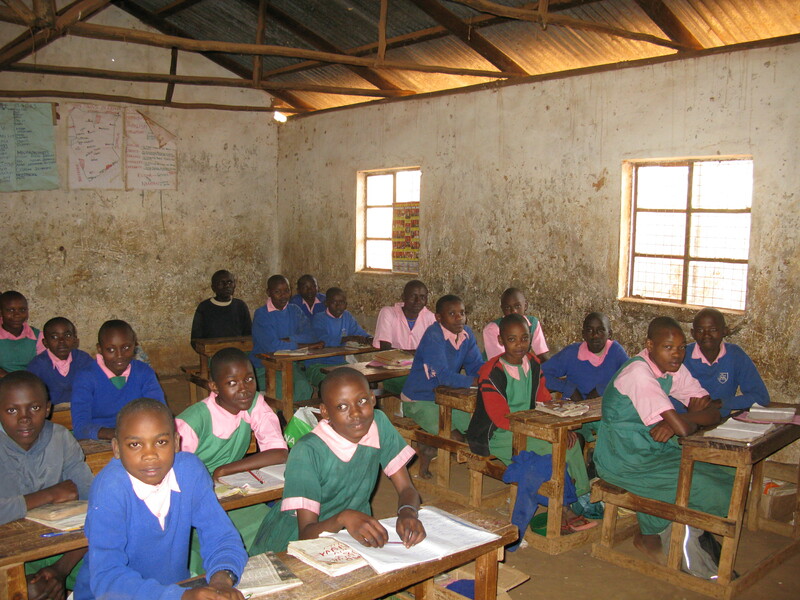 They came to study for a very important standardized test that all eighth grade students in Kenya must take. This test, along with one they take in the final year of high school, is used to determine if a student can attend college. They had been preparing for several weeks, in hopes of scoring higher than the minimum and thus not rule out their chances of going to college. When we entered, they were excited for visitors from afar and for a welcome break. Upon learning about the purpose of their studies we noticed one child had a compass on his desk. We asked about the mathematics portion of the exam and we were told that everyone needed a compass for the test. Dr. Kaleli, part of the Living Bread Kenya leadership team, asked how many of the students had the necessary supplies to take the exam. To our surprise only one student in the class had all the materials needed. Imagine being in eighth grade with your entire future hanging in the balance based on an exam, and you do not even have the supplies needed to succeed. Stories like this are the reason we launched our annual Share Christmas outreach. Through Share Christmas your single $15 gift will provide school supplies or required school uniforms and a hygiene kit to one child in Brazil, Thailand, or Kenya. Visit Share Christmas to invest in the life of a child and help them break the cycle of poverty for their family!